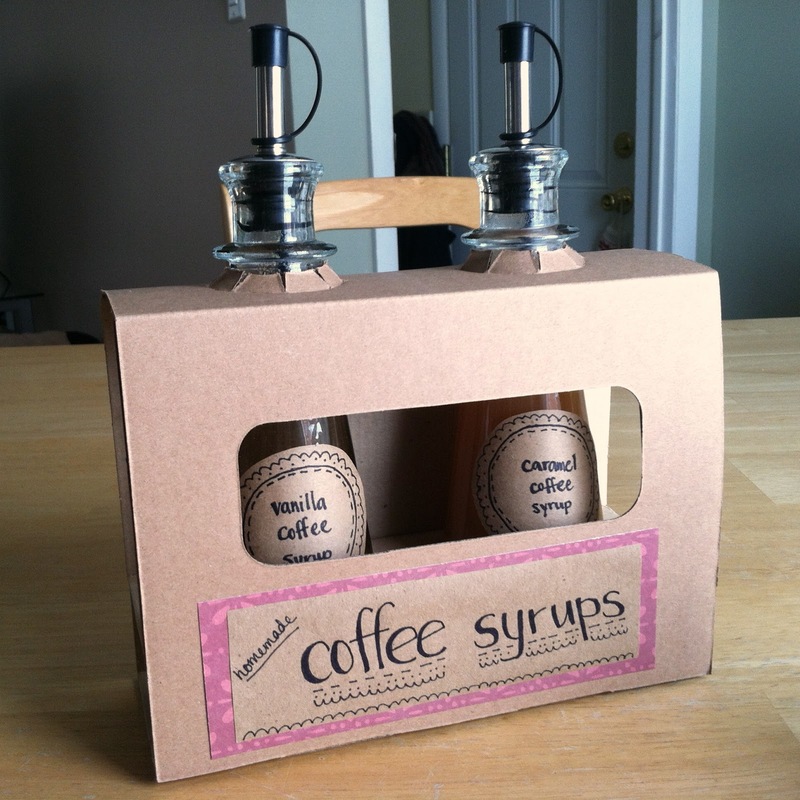 Here's a super easy way to make your own coffee syrups. These recipes come from A Beautiful Mess, but my recipes below are halved to fit in these 7 oz World Market bottles. See below the recipes for a gift wrapping idea! This is the perfect inexpensive and easy gift. Vanilla syrup: 1 cup water, 1 cup sugar, 1/4 teaspoon vanilla extract. Heat water and sugar in a pan over medium low heat, stirring constantly until dissolved. Stir in vanilla extract. Pour into container. Caramel syrup: 1 cup water, 1 cup sugar, 1/4 cup caramel. Heat water and sugar in a pan over medium low heat, stirring constantly until dissolved. Stir in caramel until disolved. Pour into container. For a raspberry syrup recipe, click here. They also have lavender and honey recipes here. I gift wrapped the bottles in the box they came in. This is the box before decoration. Reusing this box helps so the bottles won't fall over in the gift bag and possibly leak. You can purchase the bottles for $3.99 (for both!) at World Market. For the next part, all you need is some kraft paper, a pen, double sided tape and a bit of scrapbook paper. 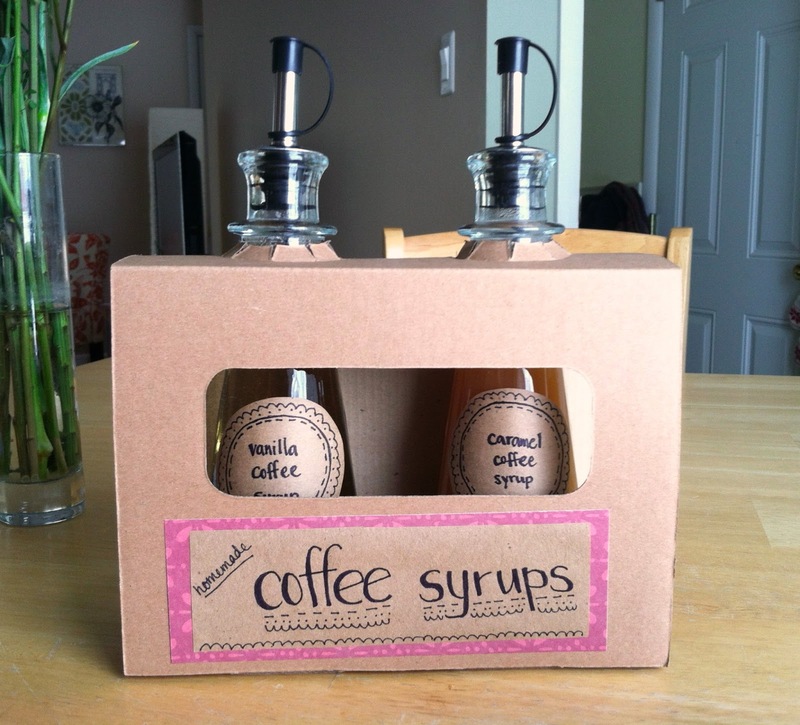 For the bottle labels, I just wrote the labels and designs on kraft paper, cut the circles out, and used double sided tape to stick the labels to the bottles. 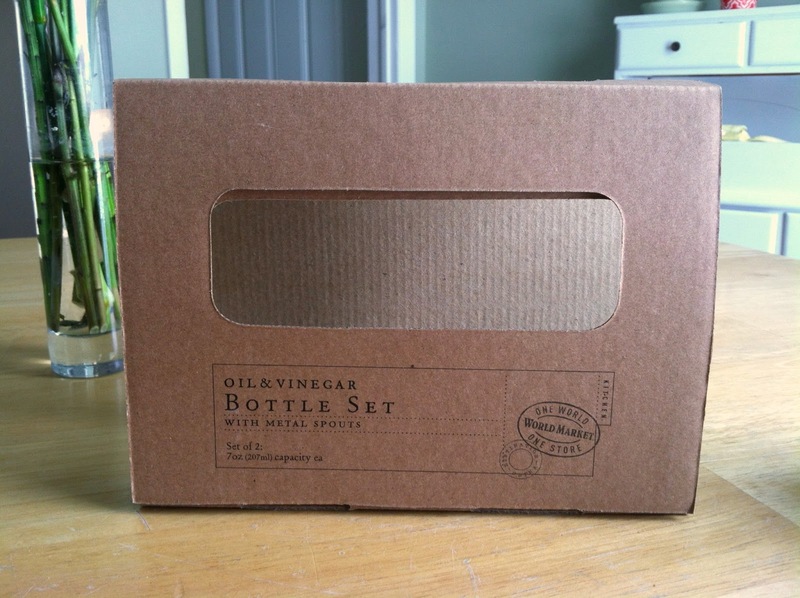 For the box, simply cover the printing on the front with a written label. I gave these to my mom for her birthday this weekend and she didn't know that I made them until my husband told her!